Objective: To compare the regulations of Assisted Human Reproduction in England, Italy, Norway and Ireland, countries that have a high Human Development Index. 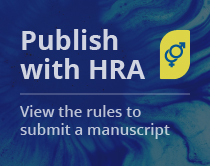 Method: Cross-sectional qualitative study of regulations of Assisted Human Reproduction in England, Italy, Norway and Ireland, countries with Human Development Index above 0,8. Results: Italy, England and Norway have specific laws of Assisted Human Reproduction. Ireland is the only one with a Guide of Professional Conduct and Ethics issued by the Federal Council of Medicine of the country. Conclusion: The similar situation of Human Development Index in the studied countries has no influence in the Assisted Human Reproduction regulations. 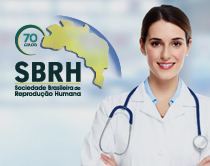 human reproduction; laws; regulations; HDI. 1. SOUZA MCB, DECAT DE MOURA M, GRYNSZPAN D, organizers. Vivências em tempo de reprodução assistida: o dito e o não-dito. Rio de Janeiro: Revinter; 2008. <br/><br/>2. KAMEL RM. Assisted Reproductive Technology after the Birth of Louise Brown. J Reprod Infertil. 2013;14(3):96-109. PMid:24163793. <br/><br/>3. JONES HW Jr, CROCKIN SL. On assisted reproduction, religion, and civil law. Fertil Steril. 2000;73(3):447-52. PMid:10688994. http://dx.doi.org/10.1016/S0015-0282(99)00542-7. <br/><br/>14. WALSH DJ, MA ML, SILLS ES. The evolution of health policy guidelines for assisted reproduction in the Republic of Ireland, 2004- 2009. Health Res Policy Syst. 2011;9(1):28. PMid:21702949. http://dx.doi.org/10.1186/1478-4505-9-28.